“It’s an honor and a privilege to be inducted in to the USA Boxing Alumni Association Hall Fame,” Ward said. “It’s even sweeter to be inducted with this year’s other inductees and the icing on the cake is going in to the hall of fame with Roy Jones, Jr., my all-time favorite fighter. Ward’s star kept rising in the pro ranks, in which he retired undefeated with a 32-0 (16 KOs) record, including unified world titles as a super middleweight (WBA, WBC, The Ring and lineal) and light heavyweight (WBA, IBF & WBO). In 2011, after winning the hyped Super Six World Boxing, Ward was rightfully selected as the consensus Fighter of the Year. In seven fights against past world champions, he was 7-0 with two knockouts, defeating contemporary bests such as Mikhail Kessler, Sakio Bika, Chad Dawson, Arthur Abraham, Carl Froch and Sergey Kovalev twice. 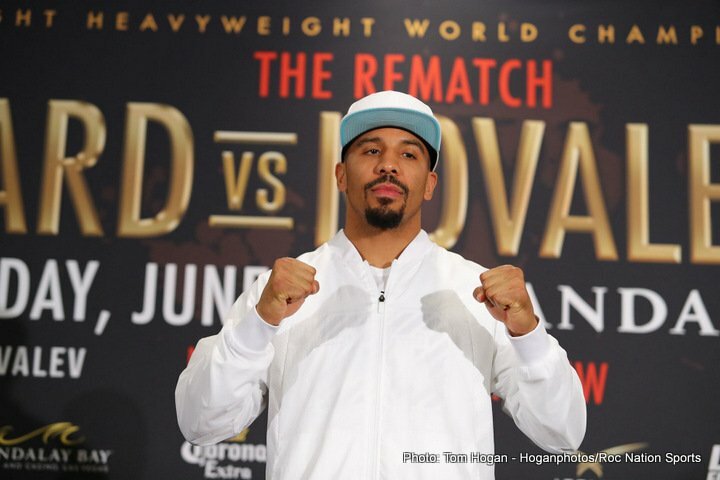 At the top of sport, Ward decided to retire from the ring last year, after his second victory over Kovalev. Today, he provides expert commentating, hosted the recent boxing reality show The Contender (Season 8), and he also played a role in the movies, Creed and Creed II. Despite a near perfect career that places him along boxing’s all-time greats and his last loss in the ring occurring in 1998, Ward was often been an underappreciated and under-acknowledged athlete by fans and media alike.